Combine all ingredients, excluding sweet potato, into a large bowl and mix together. Heat oil in a pan on medium until hot- but not smoking. Broil potatoes for about 6-8 minutes on either side, or until they start to turn golden and bubble. 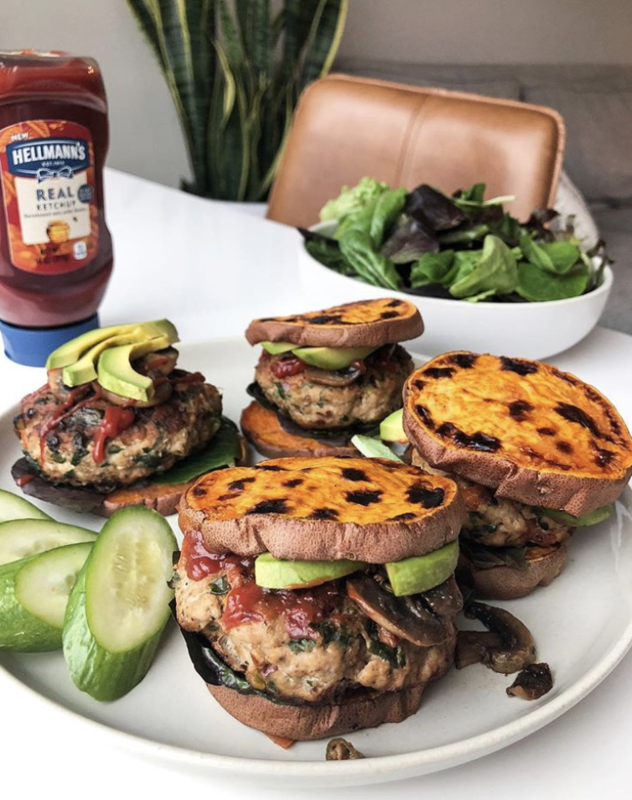 Form burgers with sweet potato rounds, mixed greens, avocado, and condiments. Enjoy! I made these tonight and they were so good! Husband approved too! Thanks for sharing the recipe!